Beto spoke for about 45 minutes on important issues, saying Texas deserves an accountable, full-time Senator who is committed to working tirelessly for the citizens of the state. Beto is running against incumbent Senator Ted Cruz. 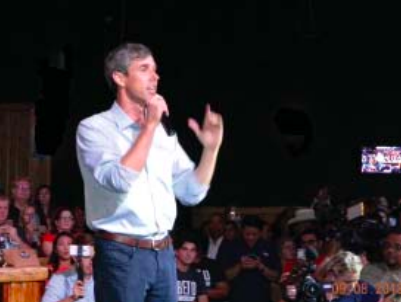 ALDINE – A huge crowd of several thousand supporters turned out for a Beto O’Rourke rally and Town Hall meeting last Saturday, at the Escapade Club on the Eastex Freeway. Beto, as he likes to be called, is running for the U. S. Senate in the November election, against incumbent Ted Cruz. Beto is on the Democratic ticket, and Cruz on the Republican. Beto, who is now a Congressman from El Paso, has been campaigning vigorously for months, bringing a grass roots style to his message. He has raised more money than Cruz, all of it on small personal donations. He points out that he has not accepted any PAC or corporate money, which is the mainstay of Cruz’s backing. Beto told the crowd that this was one of the largest town halls he has had, even though he has appeared in every Texas County. Some of the issues that he spoke about include getting “big money” out of politics, and not catering to special interest groups. He has a special message for veterans, wanting to improve their healthcare, disability claims, and housing. 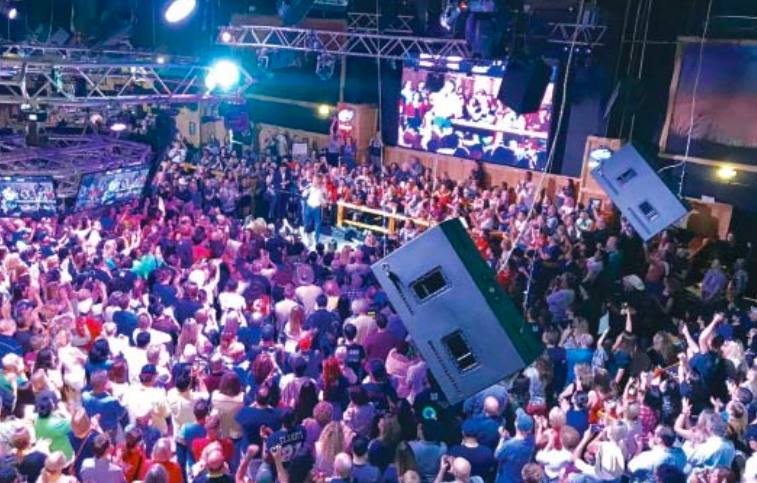 Several thousand enthusiastic supporters gathered last Saturday in the Escapade Club on the Eastex Freeway, to hear Beto O’Rourke, candidate for the U. S. Senate, speak on issues that make up his campaign. 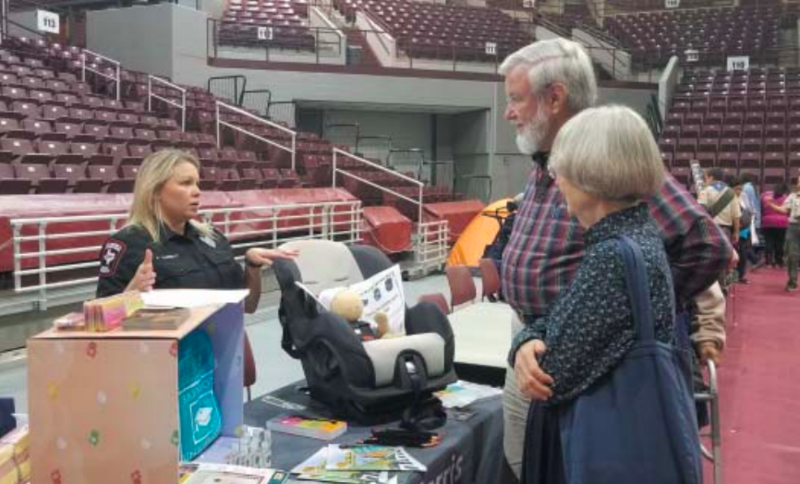 ABOVE, A. Corbett with the Harris County Emergency Corps explains how to properly use a car seat for infants. This September, Grandparents Raising Grandchildren Support Group of Aldine-Harris County, hosted its 15th Annual Family Strengthening Conference! The Conference is a community service event provided to help awareness of health, family issues, and many more situations that Grandparents and kinship face with raising children and the entire family. Participants were offered free health screenings, school supplies, education materials designed to promote personal health and well-being, and a variety of resources from keynote speakers and agencies. The community had a fun filled day of informative information, health screenings, demonstrations, a fun day for the children, teenagers, and much more!